Turmeric (Curcuma longa) is native to Southwest India and grows wild in the forests of South Asia. It is a perennial herbaceous plant of the ginger (Zingiberaceae) family. The Turmeric plant reaches a height of 36 inches. It is identifiable by both its characteristic tuberous root and the leaves that extend upward from erect, thick stems arising from the root. It produces tall, very beautiful, white flower spikes, when clumps are left undisturbed for one year. The flower is so attractive that it is worth growing for this purpose alone. 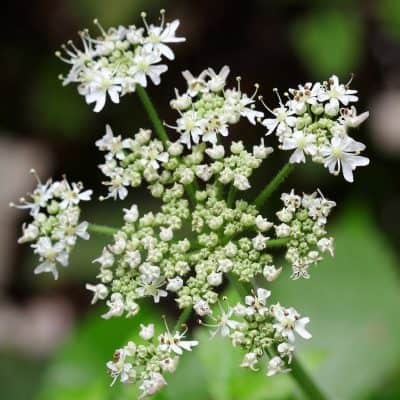 The green and white inflorescences nestled between the leaves are beautiful as cut flowers or tasty in a salad! Turmeric plants are harvested annually for their aromatic rhizomes (roots) which are yellow to orange in color. 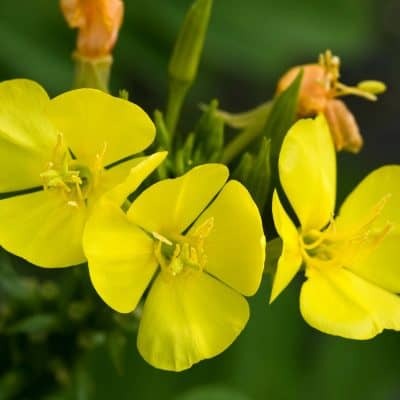 However, the whole plant is edible and in fact, a culinary delight! The rhizomes (roots) are boiled, dried and ground up to produce turmeric powder. 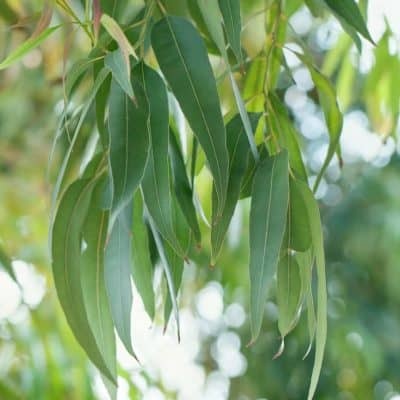 The leaves have a distinctive flavor and are used to wrap and cook foods. Even the flowers are edible! 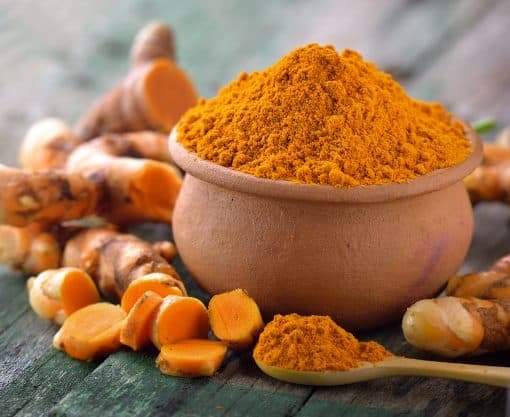 Anti-Cancer Properties – Turmeric is considered to have anti-cancer properties and is widely used as an approach to treat and or prevent various types of cancer. Turmeric contains Curcumin which is a powerful antioxidant agent that is said to inhibit a protein that is essential for tumor growth. Please note, although there are extensive studies on Turmeric, there is no solid proof that Turmeric treats or cures cancer. It is important to consult with a physician regarding any questions pertaining to cancer. Anti-Inflammatory – Well known for its anti-inflammatory properties, Turmeric is often used to reduce arthritic pain, gout and muscle pain after exercise. Hemorrhoids – Used as a topical salve to reduce the inflammation of hemorrhoids. Irritable Bowel Syndrome or IBS – Turmeric has long been used to soothe the stomach, intestinal tract, cramping, Crohn’s disease, and irritable bowel syndrome. Cognitive – Used to boost cognitive abilities, increase concentration and boost memory retention. Depression – Turmeric is used to treat hormonal imbalance, depression, anxiety and anger. Detox – Turmeric is used to help the body efficiently remove toxins. To stimulate the immune system and promote circulation, add 1 or 2 drops to 1 teaspoon of carrier oil and massage into the abdomen. You may also use in a diffuser, vaporizer or add to a warm bath.